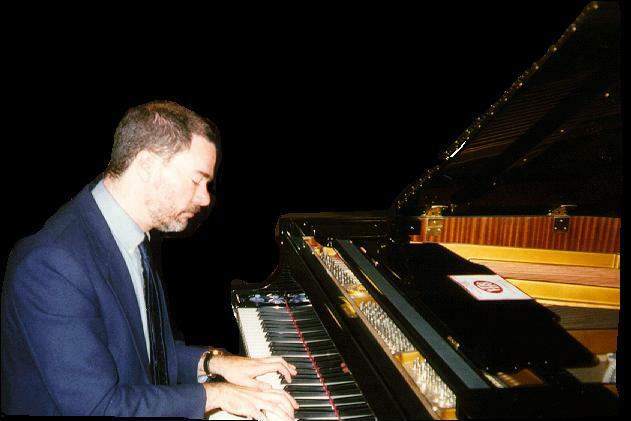 Experienced, versatile pianist/vocalist playing in the Cincinnati, Columbus and Dayton areas. Wide range of styles - Jazz, 40's Swing, Broadway, Pop-Rock, Ballads of All Kinds From All Periods - As Time Goes By to Madonna's Take A Bow. Ready, Willing and Able to enhance your next gathering with piano music. No piano? No problem! Can provide keyboard, amplifier and microphone. Call my home phone at 937-879-5608 to make arrangements. This page was last updated on 11/19/99.